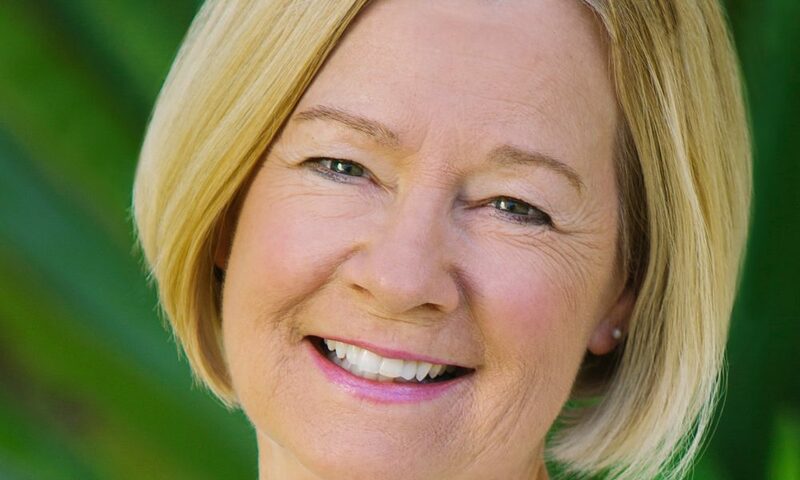 Today we’d like to introduce you to Carol Hageman. Wildlife always fascinated me. I grew up playing outdoors and doing chores on the family farm in Vincennes, Indiana, an area rich in flora and fauna. Also as an adult in Henderson, Kentucky, I became interested in birds, for it was home to John James Audubon in his young career. 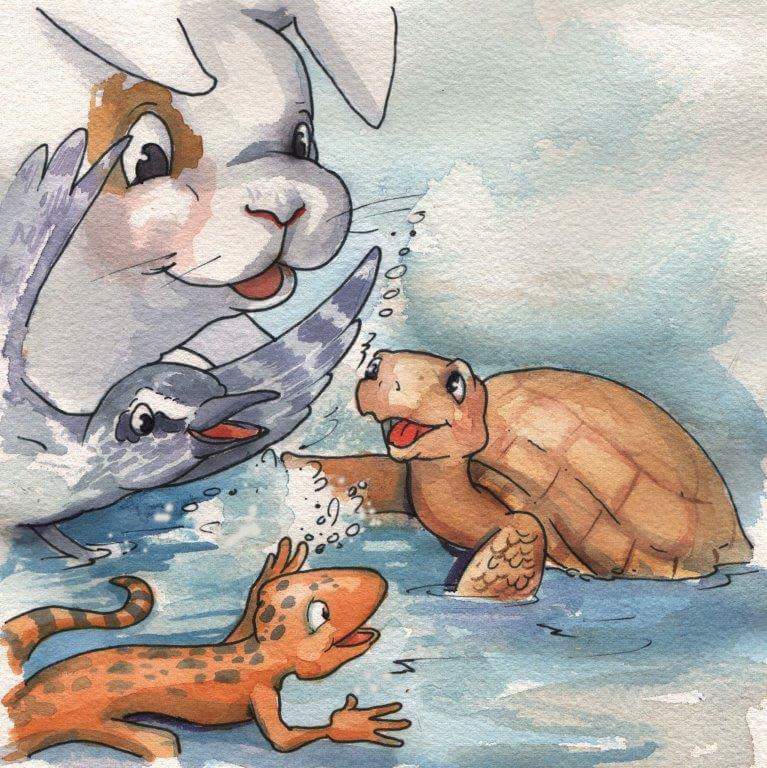 When I decided to write the story of a tortoise in Bubby’s Puddle Pond: A Tortuga’s Tale of the Desert, I drew on some of the real-life behaviors I had witnessed. I wanted to pass along my lifelong curiosity and enthusiasm to today’s young readers- many of whom may never have seen an animal in the wild. I realize now how special it was to be raised on a farm. It gave me a greater appreciation and love of nature that I hope other children can experience. I learned floral design early on while living in Indiana and later opened a florist shop in Henderson, Kentucky. After the birth of my daughter, Erin- whom the book’s main character is named after- I sold the florist shop and moved to Phoenix, Arizona. I became a volunteer to a teacher at Erin’s school, tutoring second-graders in reading and then helping them write their own “first” books. The teacher had a great reading program, in which she encouraged the students to write their own books. They would hand write their story and I would type them and make a cover out of construction paper. The students would then illustrate the pages and the cover. After everyone completed their book, they would read it to the class. It was such a fun project for me. I can tell you there were some absolute darling books. I loved it. 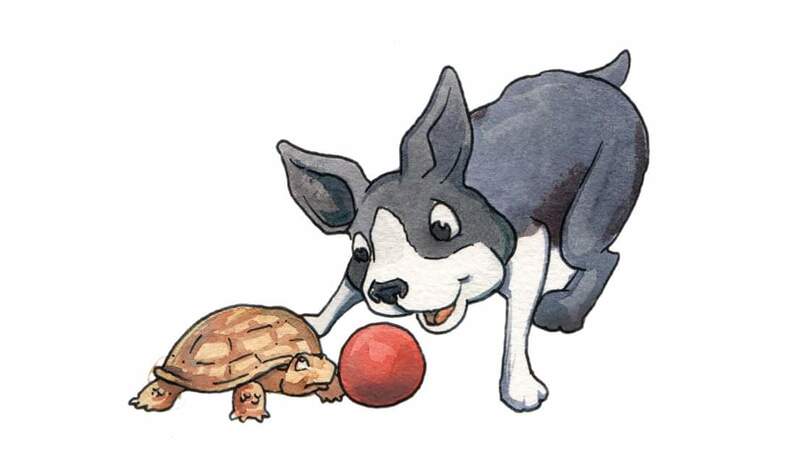 Later in Erin’s elementary school years she adopted a desert tortoise. Since I am an avid gardener little Bubby gave me plenty of material to write about. That is where I would observe his behavior. He was a very curious creature and not afraid to do anything. Many of the scenes in the book really did happen. I am also a horse lover. I owned a horse named Niña , for 16 years. She passed away suddenly leaving a huge void in my life. My daughter encouraged me to write the book about Bubby and his friends and things just started falling in place. I wanted to honor Niña’s memory, so I named the company after her. I want to thank my mom and dad for instilling in me the love of books and birds. They have been an inspiration. Finally, I want to remember my dear friend Martín Mares. The book is dedicated to him. I knew Martín for 25 years. He was my arborist. He battled cancer for 5 years before losing that battle in 2013. I wrote Martín into the story to honor him. He always trimmed my mesquite tree in Bubby’s habitat. The ever curious Bubby was under Martín’s feet trying to help or escape out the gate and that is when I would have to put him in a safe place. Martín really liked Bubby and called him Mr. Tortuga. I hope this will give readers some understanding of the relationship between myself, Martín and Bubby. I know there are authors out there that struggled with finding a subject or story to write about. Knowing what you want to write about makes the process easier. Writing a book is a learning experience and takes a lot of patience and perseverance. Children’s books typically take about one year to produce because of the illustrations. I was very fortunate to get connected with a great illustrator, Nate Jensen. 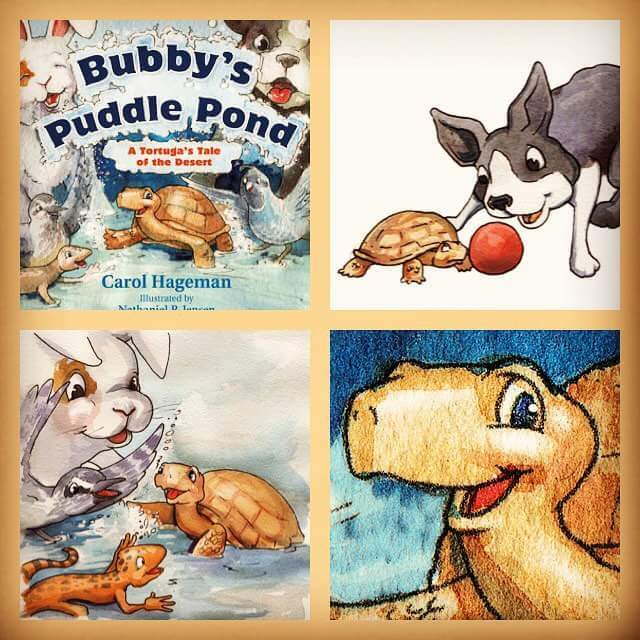 All of the illustrations for Bubby’s Puddle Pond are water colors. I am very proud of that. Nate was able to create pictures that helped tell the story without words. Very important when trying to keep the word count to a minimum. In addition, Conrad Storad was my editor. Conrad is an award-winning author and editor of more than 50 science and nature books for children and young adults. However, I could not have completed the project without the team at Story Monsters, LLC. They were great to work with and helped me every step of the way. The book has been published for about 90 days and I have encountered some obstacles because I am considered self-published. Many of the big name vendors are not open to self-publishers. That is where one has to persevere. Don’t give up. Work all of the channels and you will make it happen. Otherwise, I feel the book has been well received. I have had many 5 star reviews on the professional websites. 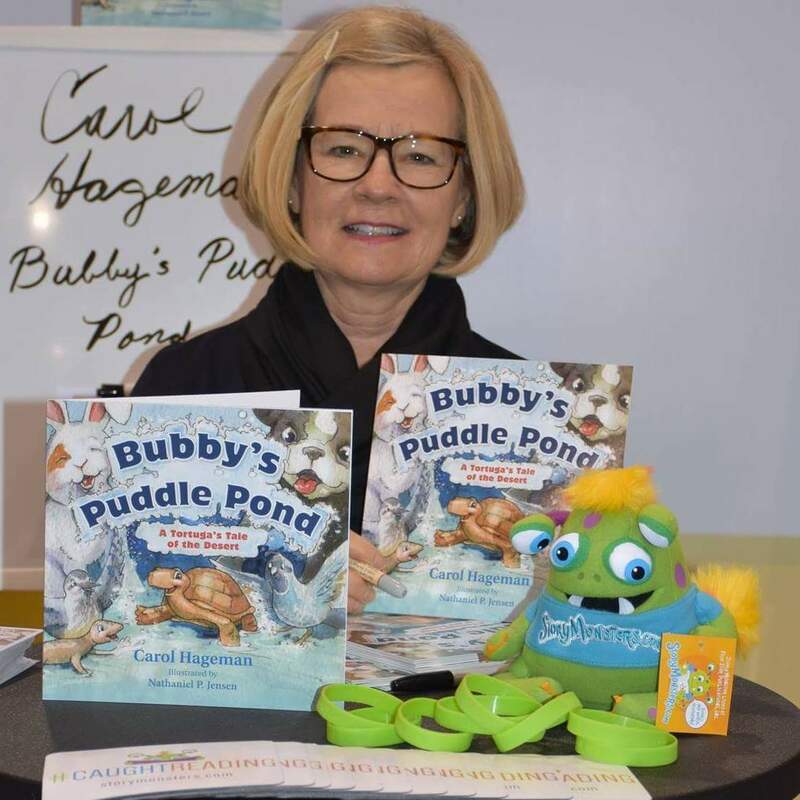 Local retailers are starting to sell Bubby’s Puddle Pond and I have been invited to several book signings. Niña Story Books – what should we know? What do you guys do best? What sets you apart from the competition? I wanted to remember my best equine friend of 16 years by naming the company after her. Niña in Spanish means little girl. I felt it went along with the whole theme of a children’s book. 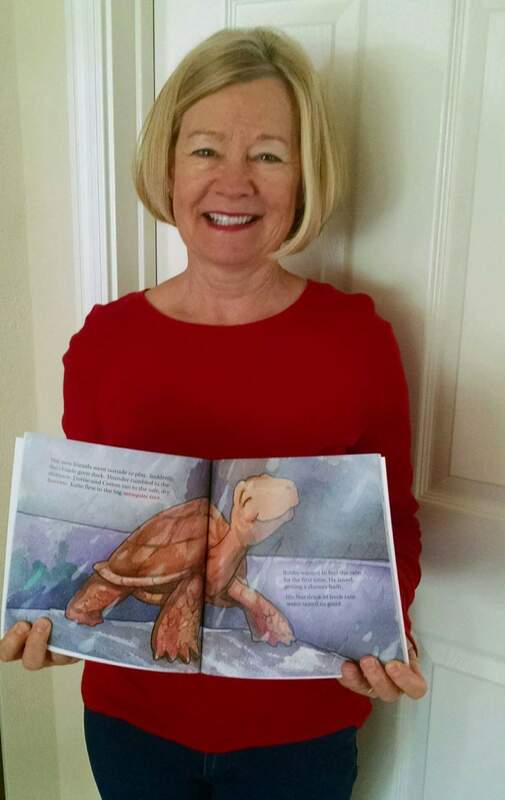 What sets Niña Story Books, LLC and my book apart from others, is the fact it is a fun little story for beginning readers with upper level reading in the back of the book. 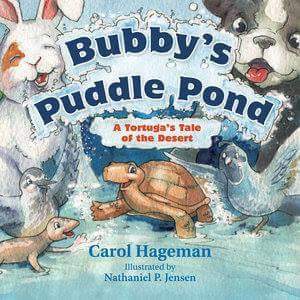 Bubby’s Puddle Pond: A Tortuga’s Tale of the Desert introduces readers to the language of the landscape. The text highlights such words as “mesquite” and “gecko”, then defines them in a glossary. A curriculum guide and fact pages will help teachers and parents use the book as an educational tool. I worked with the Arizona Game and Fish Department to write the fact pages about the desert tortoise and a page about their adoption program. There are hundreds of desert tortoises that need homes and Arizona Game and Fish Department gives them that good home until they are adopted out to new families. 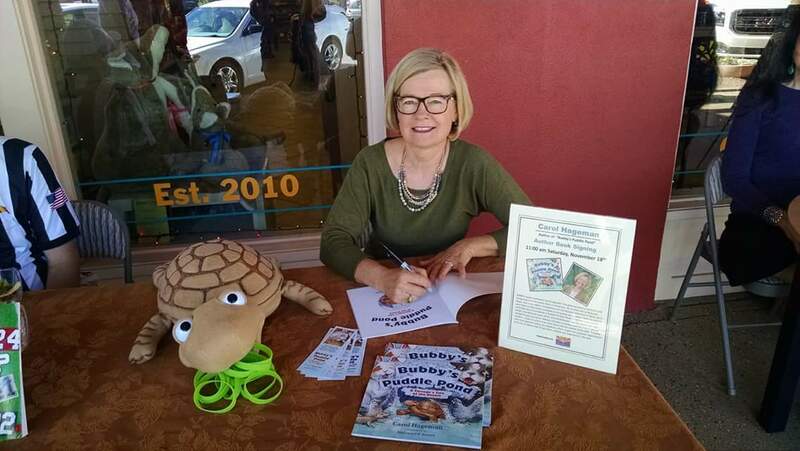 I will donate $1.00 per book for each book sold to the Arizona Game and Fish Department Tortoise Adoption Program. It is called the Buck A Book Program. Success can be defined in many different ways. Of course, success means generating an income, but to me success means, going into the classroom and reading my book to little children and educating them about the beautiful desert that surrounds us and the many living creatures that live in it. To see their smiling faces and have them ask questions about the desert animals or comment on their favorite character; that is my idea of success. I hope I can accomplish that goal.